Michael F. Williamson graduated from the Georgia Institute of Technology in 1980 with a B.S. in civil engineering. He is a licensed Professional Engineer in Georgia and 18 other states. He is also accredited by the U.S. Green Building Council as a LEED AP. 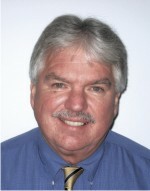 He joined Pharr Engineering in 1982. He has been project manager and lead designer for roadway projects and major commercial developments. He has particular expertise in hydrology, hydraulics, environmental issues, and railroad engineering. He is certified by the State of Georgia as an Engineer of Record for Category I dam design. He has also provided expert witness services on several cases involving site, drainage, and erosion issues. Wade Hunnicutt graduated from Auburn University in 1989 with a B.S. in civil engineering. 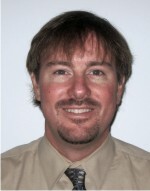 He joined Pharr Engineering in 1989. He has been project engineer and lead designer for retail, institutional, office, and industrial developments. 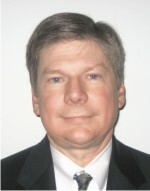 He has expertise in computer operations and is responsible for the firm�s hardware, software, and networking applications. David Bacon has been practicing in the Civil/Transportation Engineering field since 1967. He has extensive experience in highway design and transportation management, planning and development, construction administration, environmental studies, and site development projects. He has been a project manager with several consultants over the last 20 years and has experience on major roadway projects in Georgia, Florida, and North Carolina.